Built in WA for WA conditions and known for its soft riding capabilies these boats are sought after by the keen fisherman. They make for an extremely stable platform at anchor or drifting and the uncluttered deck is ideal for fishing or a day out with friends. . . .
Price reduced. 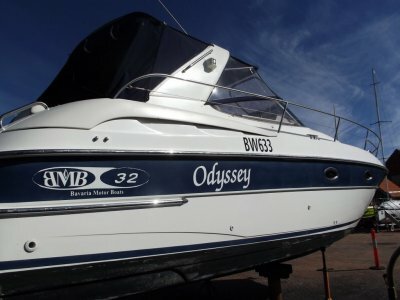 Owner wants boat sold. Bavaria 32 Sports, powered by twin Volvo V6 225hp engines. 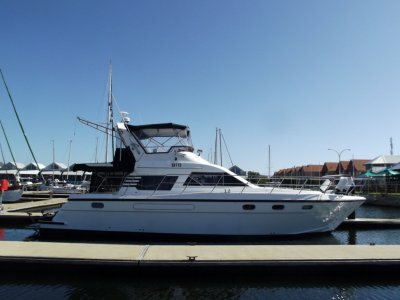 The sleek design on the Bavaria 32, with her large cockpit of a 32ft boat she is great for a day on the water with friends or family, with wet bar and fridge, freezer. Accomodation for 4 with forward . . .
Sea Hawke 45 Hard to find a better lay-out in this 45 foot Flybridge cruiser. I would put this layout up against any Riviera, Bertram -Carribean, Mustang of the same size and vintage. Great vessel powered by 2 x 3208 Catiplillars 435 H. P. Port Engine was completely rebuilt and has only 50 hours . 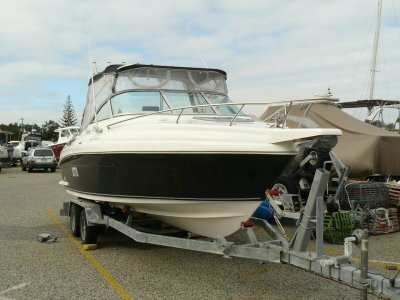 . .
Great Example of this very popular Riviera 3350 model. 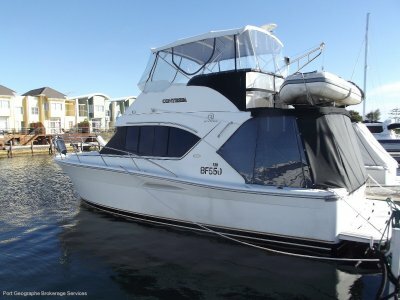 It is 37 feet Overall, 2 x B220 210 HP Cummins Diesel, Onan 6.5 Kva generator, New Flybridge clears, New Cockpit shades & Clears, Downstairs Helm position, & Stainless steel tender lift with Electric winch. All has been serviced . . .